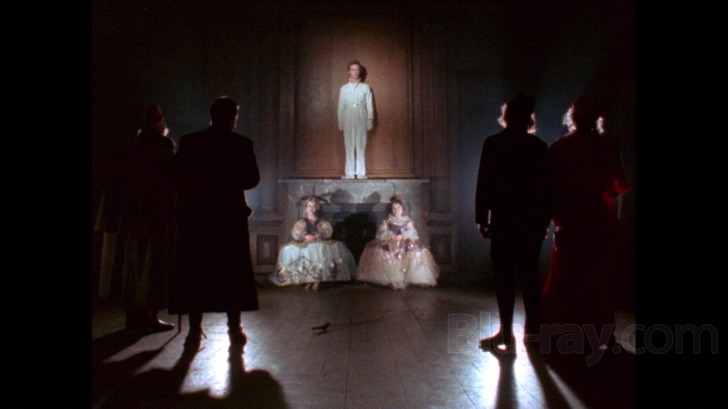 THE TEMPEST 1979 Directed by Derek Jarman 95 minutes In English. The British director/artistst Derek Jarman was a man of many colors. He was both a classicist and a modernist at the same time, fusing those two qualities into his own unique, flaring, vision. This film is Jarman's stab at Shakespeare, but it's not a traditional approach at all... and the fact that it boasts neo-punker Toyah Wilcox as Miranda is a perfect example of Jarman's wild eclecticism. This is a movie that unfolds at its own pace, it doesn't run, but slithers from scene to scene. A dark, moody labyrinthine chamber piece, with dramatic thrills and poetry in equal measure. Even sidelining the mysterious plot of Shakespeare's final play, this movie is worth relishing for its marvelous shifts in mood, its beautifully crafted set designs, the director's painterly eye. Set on a rocky island that feels more like a prison than anything else, Jarman transforms this brooding story into a tale of unrequited love, of gloomy landscapes, of tragedy.... but also of dream-states and seventeenth-century magic. And indeed director Jarman proves to be an alchemist of the highest order - he knows that if everything is sunshine and roses, it all becomes dull, that to find real magic you have to dive into the darkness and extract brightness from it. The film swims with angels, visions seen through dark mirrors, stormy revelations and climaxes that actually burst off the screen. In other words, if you want a clean, unimaginative, Hollywood-ized version of this piece, then you should look elsewhere. There must be another version starring someone like Leonardo DiCaprio around. But if you want to see something different - to dive into mystery, intrigue and meditation - then this bittersweet flick is the best route, even if it is more rocky and less polished. Here is one critic's musing: "Derek Jarman fizzed with energy and was able to infect those around him with the same almost child-like passion for play and the breaking of taboos and boundaries. He was both a fierce traditionalist, in love with a mythic sense of England, and a rebel, fired by a fury at what he saw as the failings of the world, a world that fell short of his dreams of artistic freedom, the freedom afforded by dreams, and a lifestyle nourished by the possibility of transgression." This will be a high-definition screening. Go through the gate. Cavia is on the right hand side, above Xena Sports. Take the stairs. Filmhuis Cavia is a counterculture cinema, founded in 1983 by a squatters movement, which programs films you aren't likely to see anywhere else. Our regular screenings are on Tuesdays (programmed by Jeffrey), Thursdays and Fridays, but we also have extra screenings and film festivals throughout the year. Look us up to find our monthly program. Doors always open half an hour before the film starts.